By now, everybody knows that contracts obtained by The Times show a congressional appropriation of just under $22 million beginning in late 2008 through 2011. 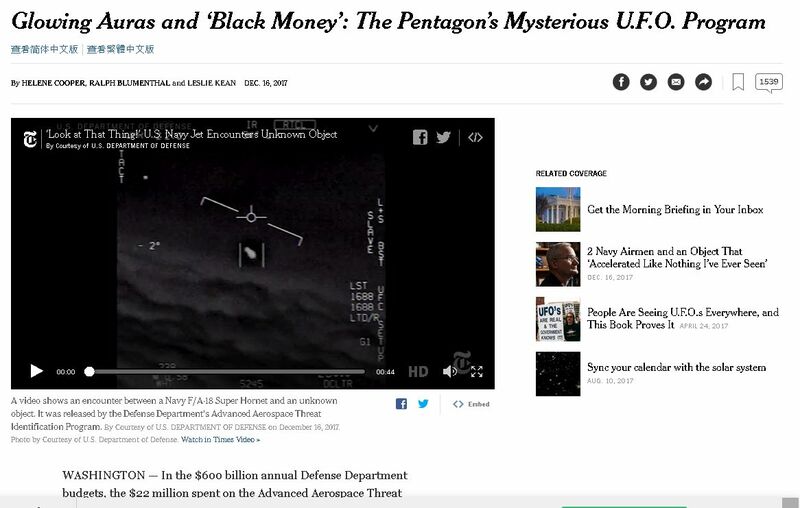 The money was used for management of the program, research and assessments of the threat posed by the objects. The funding went to Robert Bigelow’s company, Bigelow Aerospace, which hired subcontractors and solicited research for the program. 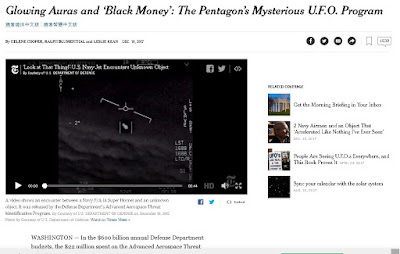 But, according to the New York Times story, under Mr. Bigelow’s direction, the company modified buildings in Las Vegas for the storage of metal alloys and other materials that Mr. Elizondo and program contractors said had been recovered from unidentified aerial phenomena. Bigelow’s company modified buildings in Las Vegas for the storage of artifacts gathered from UFOs? That does not seem to be possible, but that is exactly what the Times story says. How many tons of alleged UFO artifacts must Bigelow have to need to modify buildings to store it? During the question and answer session, Las Vegas skeptic John Whiteside asked about the supposed “authentic alien artifact” in the Area 51 exhibit. 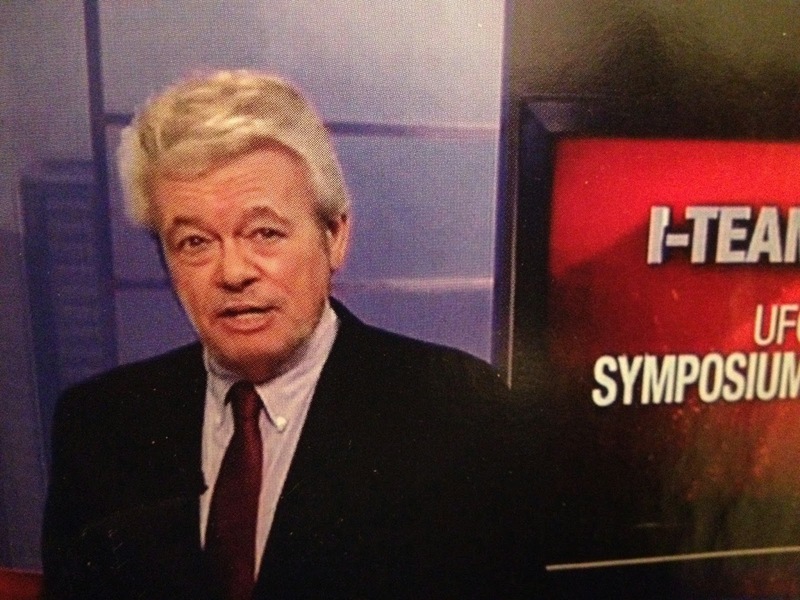 Knapp has made a career out of reporting on weird stuff like alleged saucers at Area 51, Robert Bigelow’s Haunted Ranch in Utah, etc. Who had verified that supposed artifact? The Russians, and others. Who exactly? No answer. The moderator encouraged the two to take the discussion off-line afterwards. Immediately after the close of the questions, Whiteside says he was approached by Jim Brown who identified himself as the Acting Director of the Museum. Brown berated him for asking such a question, claiming that it threatened their funding. If a Museum’s funding is threatened by asking a legitimate question, the fault lies not with the questioner, but with the Museum. Whiteside went looking for George Knapp after this, no more than five minutes later, to find that he had quietly slipped out the door. Thanks, once again, to Robert Sheaffer. As I stated elsewhere many many times, I am a realist who believe that the UFO phenomenon itself seems to be real. But to me, UFOs do not represent conclusiveevidence of physical extraterrestrial visitations by physical extraterrestrial, biological entities in physical extraterrestrial spacecraft of any kind. There is more to this phenomenon than the ET hypothesis. I am also highly skeptical of the existence of authentic UFO artifacts. Area 51 getting ready for B-21 development and testing? I received this UFO video recently. This was filmed on 21st October 2017. Witness report:I saw a huge white orb over my house in Long Beach CA. At first I spotted two objects crossing path’s with each other then focused on the larger one. 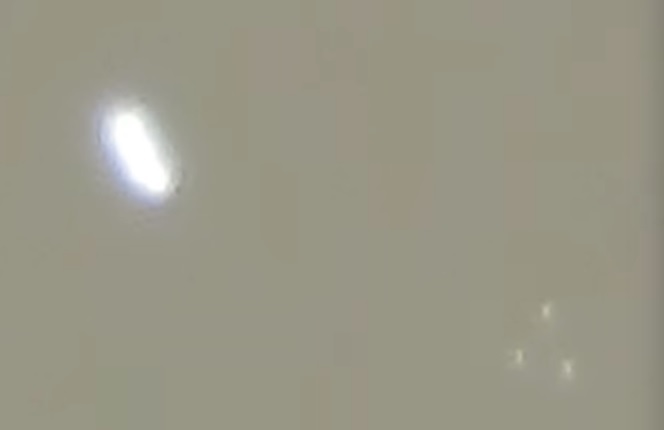 As I zoomed in on my camera the UFO started ejecting smaller spheres into the atmosphere. The first ejection formed a triangular formation! As I kept filming the object started emitting tons of orbs falling in a steady stream from the main object. There were at least 40 smaller spheres emitted from the main UFO. Interestingly the smaller orbs were only visible through my infrared camera. This was recorded with my full spectrum Canon SX60 with a monopod in my backyard in Long Beach CA. The first part of the video shows the raw footage and the analysis of the capture is presented in the end of the video.